Grabit Newsreader is Best newsreader that is created with the focus of binaries taken into account. Developers at Schemes.com promise that this newsreader will search and browse Usenet articles without the need of downloading headers. With this newsreader, you can select a newsgroup and just go there, check the contents without downloading headers. Usenet.com will provide Grabit Newsreader Review 2018 results for you to review. It is important to note that Grabit Newsreader is free for PC/Windows. It has premium features required to get articles or news from Usenet with a lot of ease. The software supports SSL encryption and NZBs. Moreover, it automatically extracts and repairs your articles and other good stuff. You will find it quite easy to use; you just create NZB from your favorite search engine and let it do its work. Also, it has an inbuilt search engine. If you are an old-school Usenet user, you will enjoy header support. This allows you to browse groups manually. It supports backup servers for experienced users that need a secondary server. PayPal Single payment – This option does not renew itself automatically (thus, there is no credit card required). It is possible to use Grabit Newsreader as a regular Usenet downloader. You just double click your NZB within Windows, and it will open it automatically and then will be asked to confirm. Grabit Newsreader will get the articles automatically. Also, it can extract them and repair them if necessary. In a few minutes, you will have access to your articles ready. Automatic processing is quite common nowadays, and Grabit has done an amazing job. You can manually import NZBs from within just by clicking “import.” One of the most important features is Grabit Usenet Search. This useful feature allows users to browse various newsgroups just from within. The free version just allows limited results and the retention is low. For paid accounts, you can get up to 10k results per single search. Grabit is well-known for its integrated support for NZB format. You just need to double click on your NZBs, and all articles, which are in the NZB will be automatically downloaded. Grabit supports Windows. Hopefully, in the future, they will support other operating systems such as MAC, Linux, and more. Nowadays, internet connections have high bandwidth. This explains why Usenet clients and fast computers have a difficult time to cope with a lot of articles. 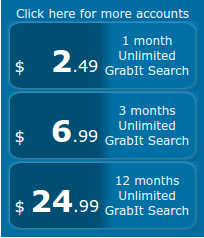 Grabit is not optimized for fast connections. This may be fixed with new versions in the future. This new version of Grabit Newsreader is stable. In fact, you may not experience crashes when using it. With several free updates released on a regular basis, you will find Grabit to be a stable newsreader. As much as the software is very easy to use, you may occasionally need technical support. They have provided detailed guides to common issues that users encounter. You can also contact them by submitting a ticket to their support. Their technical support team will get in touch with you immediately. You are guaranteed SSL secure connection. The ability to encrypt your traffic to Usenet servers with the industry standard SSL technology makes Grabit one of the top newsreaders. 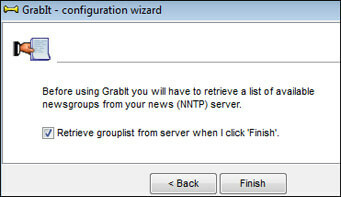 Grabit Newsreader works with several Usenet Providers. You can check to see whether they support your favorite Usenet provider. Grabit Newsreader offers a revolutionary way of getting articles from Usenet. Other than downloading several headers, the software gives you an ability to just browse the articles without the need of downloading headers. Grabit Newsreader is a free newsgroup reader with a paid search feature. This means that it is not a must to use the search feature. You can import NZBs from other sources with ease thanks to this amazing software. It also allows users to configure various accounts. You will find Grabit to be a capable newsreader that is great for all Usenet users from beginners to experienced users. It is a simple-to-use interface. The fact that over 90% of users find it exceptional is a great reason to for this low-cost software. Since it is completely free, you have an opportunity to have a look at it before you spend your hard-earned money.